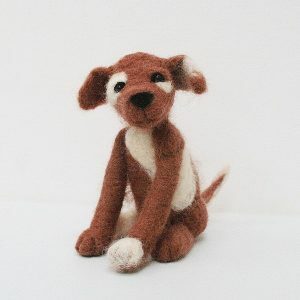 Needle felting kits for beginners onward. Unlock your creativity and be inspired! 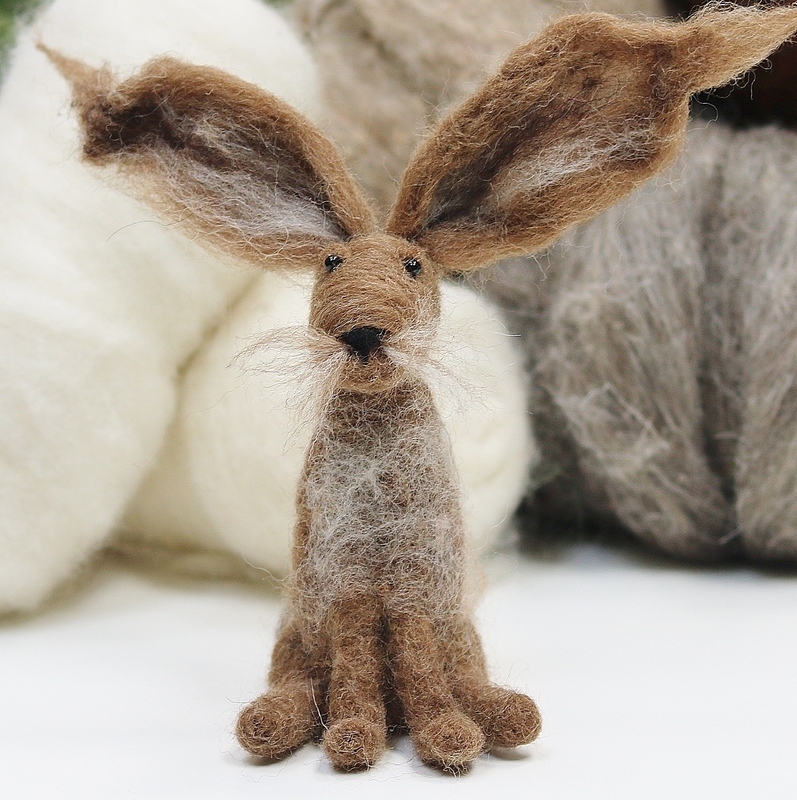 Brown hare needle felting for beginners. 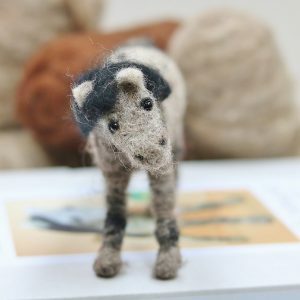 A charming needle felting kit to help unlock your creativity; all you need is enthusiasm and a few hours of your time. 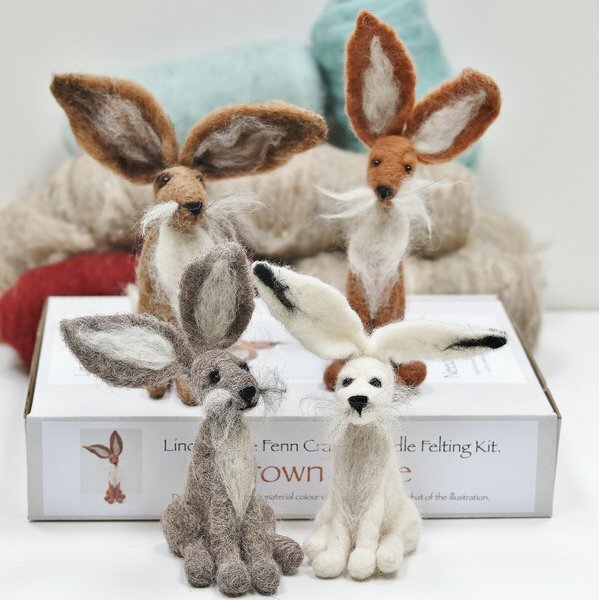 An inspiring needle felting starter kit that makes this wonderfully addictive craft accessible to all abilities. 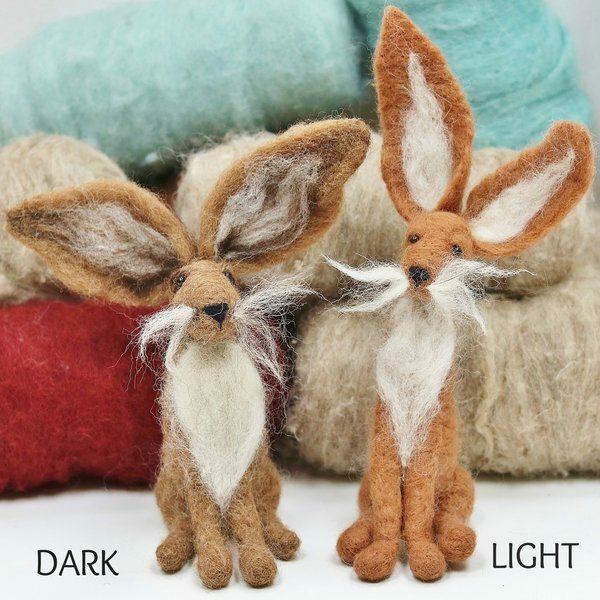 Perfect tutorial for those new to felting or crafting. The detailed tutorial with 36 full colour photographs and size guide will take you step by addictive step from start to finish; no previous experience necessary. The height of the hare when completed is approx. 15cm. 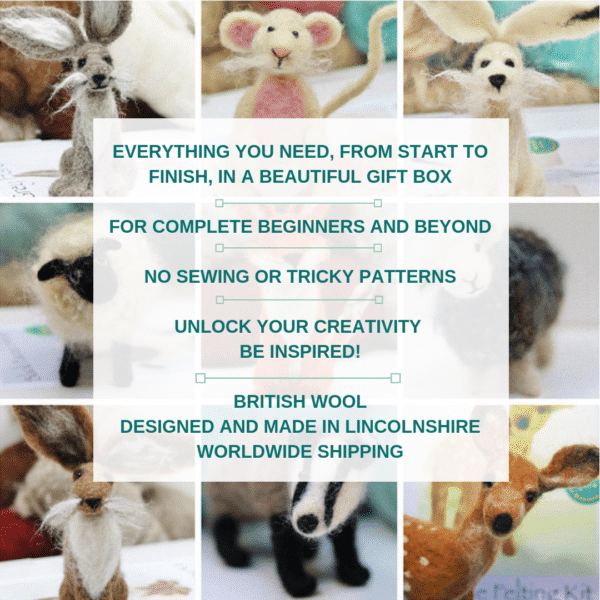 Each kit is beautifully presented with charming artwork in a sturdy A4 box making it a perfect gifts for crafty friends or family or storing your wool and accessories. 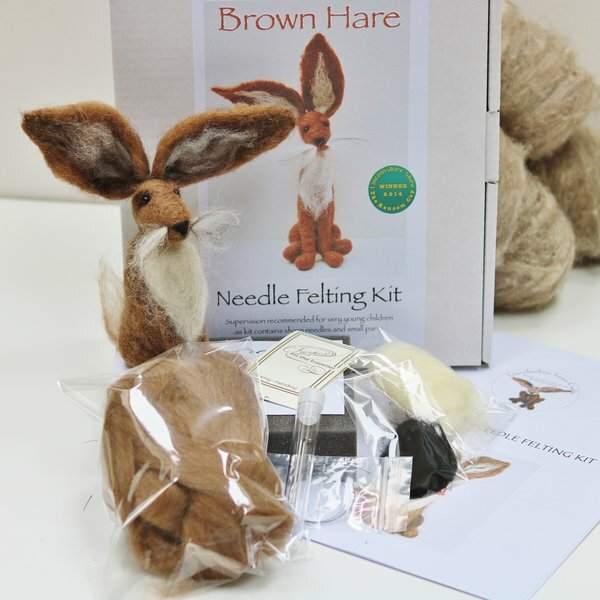 See listings for more hare kits. 36 step by step photographs and detailed instructions. 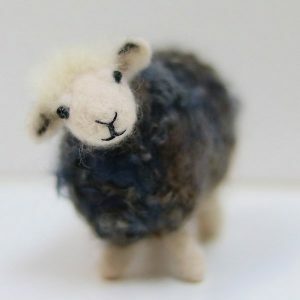 All required British breeds wool. 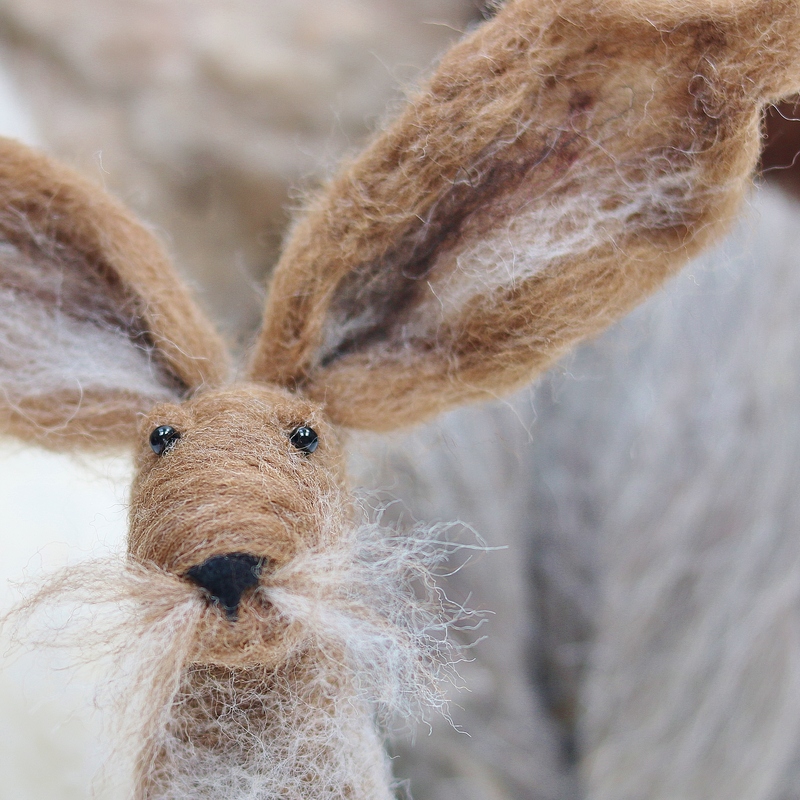 Two felting needles in a handy container. Needle and thread for eyes in a useful mini sewing kit. There are 19 needle felting kits to choose from the award winning Lincolnshire Fenn Crafts range. This is not a toy. Due to small parts and sharp needles it is not suitable for young children. Please keep out of reach of children and pets. 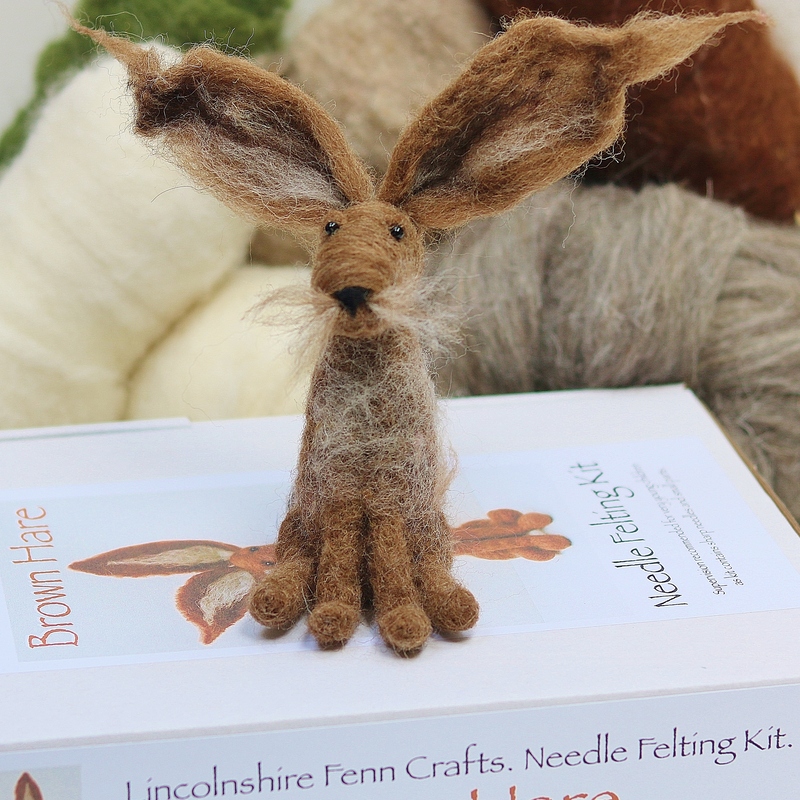 Subscribe and be the first to hear about free blog tutorials, new posts, products and promotions from Lincolnshire Fenn Crafts. Your email will be kept private and never shared!